I’ve been meaning to write about CAT tools for some time now, but before you all shoot me down in flames, I should start off by saying that I don’t claim to be a technological wizard! This is a purely personal analysis, based on my use of Wordfast Classic and Trados Studio. These are the only tools I’ve used in earnest, so whilst I’ve heard great things about Déja Vu and MemoQ, I can’t possibly comment. I’ve been translating in a professional capacity for 31 years now, most of which have been without translation memory of any kind, hard though that may be for newcomers to the profession to imagine. In fact, I used to dictate my translations to be typed up by the typing pool, but that’s an entirely different story… I was quite happy with my translation workflow, but when I got divorced in 2005 and started to work towards translating full-time, talk of translation memory and what it could do to help translators’ productivity started to filter through to my not particularly receptive ears. I didn’t think I translated particularly repetitive texts and I certainly received many documents by fax (or, heaven forbid, by post!) that didn’t remotely lend themselves to electronic processing in a computer-assisted translation environment. 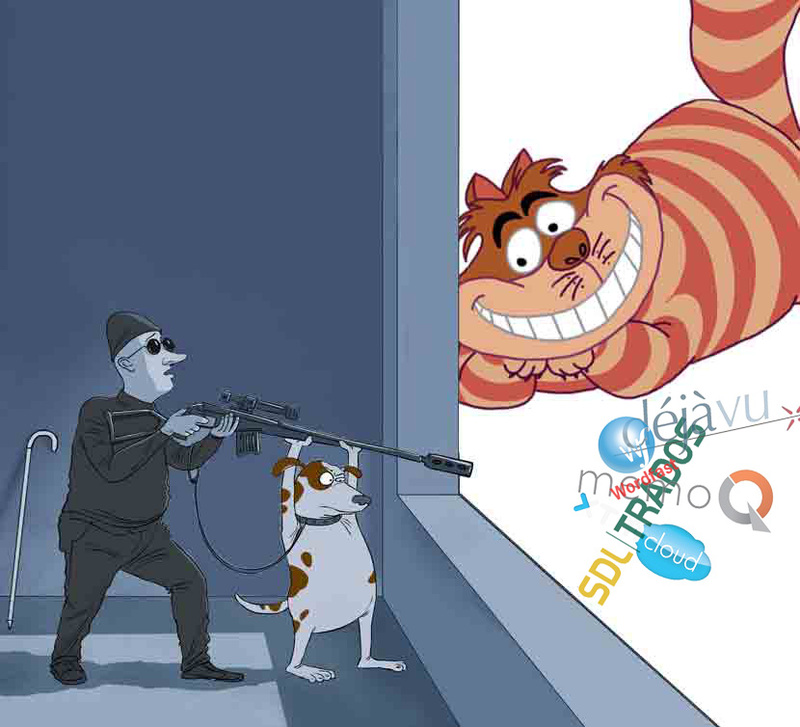 However, my interest was piqued by an ITI workshop run by Michael Benis back in 2006: an introduction to CAT tools, looking specifically at Trados, Wordfast and Déja Vu. It was a fascinating opportunity to spend an intensive weekend seeing what all the fuss was about – and an invaluable chance to try all three tools hands-on for myself AND to get to grips with the basics of CAT tools. After the two days, my mind was made up: Déja Vu would have been my first preference, but was too expensive for a freelancer not yet working full-time, Trados (Workbench) was far too complicated and way out of my comfort zone (in those days), but Wordfast seemed to offer the best of both worlds – reasonably priced, relatively straightforward to use and operating in a familiar Word environment. I’d already downloaded the (free) trial software before attending the workshop and managed to do a test translation or two, so, armed with my new-found knowledge, I bought the full version of the software soon after my return and I haven’t looked back since! 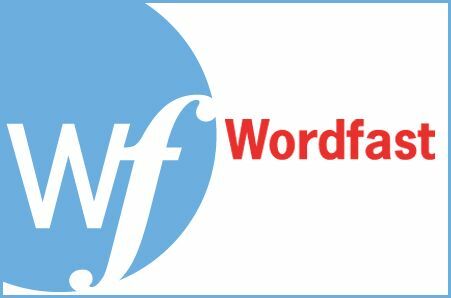 For me, the beauty of Wordfast was very much that you could learn on the job; admittedly only at a very basic level initially, but you can achieve good results without any formal training. After a year or so, I attended an intermediate training course run by John di Rico in Nice in the autumn of 2007, following on from the ProZ conference in Aix. That was another huge boost as it introduced me to the delights of concordance searching and untranslatable attributes, all concepts I’d heard of but had no real understanding of what they were or how you applied them! Since then, I’ve learned as I’ve progressed, teaching myself as I’ve needed to know something, be it aligning previous translations to stock translation memories, building glossaries, or discovering the delights of Pandora’s Box to help Wordfast work smoothly with Dragon voice recognition software. For me, Wordfast is extremely intuitive, ideal for translators who aren’t particularly technologically-minded. As I’ve said, it operates within Word, so you aren’t faced with a different working environment from the outset. There are a few easy-to-remember keystrokes: Alt+Down to move to the next segment, Alt+End to end your translation, Alt+Home to go back to where you last left off… The manual is straightforward and there’s an excellent Yahoo group for support. It’s easy to create glossaries on the fly (highlight the term in the source segment, then press Crtl+Alt+T, then repeat with the term in the target segment) and you can use up to three glossaries of your choice, but only one translation memory (plus a BTM, a large translation memory that you can use for concordance searches, but not add to as you work). The fact that you’re working within Word means that problems become apparent as you work; sometimes a segment may only contain half a sentence as there’s a full stop in the middle, or a colon. It’s a simple matter to press Alt+PageDown to expand the segment (or Alt+PageUp to shrink the segment, if you want the segment smaller). Similarly, if you’re working with a document converted from a pdf file and you come across an unwanted hard return, you can easily press Alt+Delete to cancel the segment you’ve just opened; manually delete the hard return, and re-open the segment with the whole sentence. You can also readily see tables, diagrams, layout, etc. as you work. I love the fact that you can opt to have glossary and terminology “companions” open as you work, showing all the possible terms in your segment and TM entries, but recent versions of Wordfast also have the brilliant Autosuggest, which features a drop-down list displayed as you type, showing placeables and glossary terms the minute you press the relevant first letter, allowing you to just confirm by pressing enter. Placeables include number and alphanumeric strings and capitalised words (less useful for German, it must be said….). You may ask why, having patently enjoyed the delights of Wordfast, I felt the need to extend my repertoire to include Trados? Well, intuitive and straightforward though Wordfast is, Classic isn’t ideal for translating PowerPoint and Excel files. It used to be possible to translate these by having the source Excel or PowerPoint file AND a blank Word file open, enabling Wordfast to extract the text into the Word file and convert it back. However, the downside of that was that it didn’t always work perfectly, especially with complex ppt files and once the text had been sent back to the target file, proof-reading in the target file didn’t automatically update your memory. Even worse, the latest version of Office, 2013, doesn’t allow Wordfast to process PowerPoint or Excel files at all, so if you receive many of these to translate, you’d have to consider investing in Wordfast Pro or Anywhere (which I haven’t tried, I must admit). Even before this happened, I’d been under gentle pressure from a couple of clients (one very professional agency, one direct corporate client) to invest in Trados Studio, arguably the industry-standard CAT tool and one that many agencies ask for (rightly or wrongly – I’m not even going to go there!). Having resisted for quite some time, I had a quiet spell in early 2011 and decided to take the plunge. At the time, it seemed expensive – £550 compared to the £87 I’d shelled out for Wordfast, although admittedly 5 years earlier! I must confess I found it very hard-going at first; working in a completely different environment felt counter-intuitive and was very different to my familiar Wordfast set-up. I had huge amounts of support (both telephone and e-mail) from the two clients who had persuaded me to go for it, and I would definitely have struggled without their help. Even so, it took me a long time to feel comfortable using it, although to be fair I was only using it for those two clients in the first instance. I did a couple of free Studio webinars, which helped, but I really would have benefitted from a hands-on course, but could find nothing locally. In fact, the only in-person Trados course I’ve ever done was an Introduction to Studio 2014 in January of last year, run by the North-West Translators’ Network up in Manchester, and presented by Lone Beheshty, which was really helpful. Having overcome the VERY steep learning curve, I now use both Wordfast and Trados Studio side-by-side and wouldn’t be without either of them. Trados is more long-winded to set up a project initially, BUT you can use any number of translation memories (providing they have the same language variant, e.g. US or UK English), and any number of termbases (glossaries). It can handle PowerPoint or Excel files with ease, also idml, pdf, xml and all sorts of other exotic file formats. Just be careful if you agree to translate something like an idml file, as unless you have InDesign, you won’t be able to see the target output….. With Studio you can create AutoSuggest termbases once your translation memory has reached a certain size (10,000 translation units, I believe), meaning that phrases you translate regularly will come up as you start typing them. Another aspect of Studio I love is that repeated segments are updated automatically when you’re proof-reading them (as long as you confirm the segment by pressing Crtl+Enter) – brilliant for consistency, especially with a long document. Now that the Java problems have been resolved, adding terms to termbases is pretty simple too, although I haven’t yet worked out how to add notes as I can with Wordfast. So, why keep both? Maybe I’m more “geeky” than I thought, but I actually enjoy the intellectual challenge of having the two programmes on the go. It’s also very much a case of horses for courses: obviously there are some clients who specifically request Trados, but many of my clients don’t care (or even know!) that I use CAT tools at all, so it’s my choice. For straightforward Word files for regular clients I’ve been working with for years, my memories are all set up in Wordfast and it’s as easy to carry on that way. Despite the much vaunted compatibility between tools, transferring memories between CAT tools is never as simple as you think and I have yet to successfully export a Wordfast export tmx memory for use in Trados. (I have a very kind colleague who converts them for me using MemoQ, but that kind of defeats the object….) I also have another direct client who uses Trados 2007 and prefers me to supply them with Wordfast unclean files that they can then feed through Trados (xliff files being too modern for them!). For pdf files too, I would actually rather do my own conversions using Solid or Abbyy and process them in Wordfast, so I can resolve any hard return/formatting issues in the Word file as I go. In Studio, such issues seem much harder to resolve once you’re working in the programme, although that might just be down to my relative lack of experience. Studio, on the other hand, is much better for Trados-requesting clients – as you might expect! I know many translators moan that other programmes are perfectly compatible, but when you’re working for a large corporate client with huge TMs, termbases and Autosuggest files they’d like incorporated in the end result, it’s undoubtedly easier for them (and you) if you’re both using the same programme. And even though you can use xliff files across different CAT tools, the inevitable tag differences mean you rarely get the same matches. Studio is also excellent for PowerPoint and Excel files, especially now Wordfast Classic can’t talk to the corresponding Office 2013 files. I used to do some extremely complicated spreadsheets in Wordfast with line breaks within cells, but by the time they’d been converted to Word and back, all the formatting disappeared, so the many repetitions never showed up properly – very frustrating! In Studio, problem solved…. PowerPoint too is pretty straightforward in Studio, although I did have a problem only this week with Studio not recognising all the content from a ppt file. It turned out that the file was an old ppt file; once I’d saved it as 2013, Studio recognised all the text – a tip worth remembering (thanks to Paul Filkin via Twitter for the welcome advice!). If, on the other hand, you know you’ve often lost out on jobs because you can’t offer Trados AND/OR you translate a wide range of formats, then Studio has to be the way to go. Pricewise, there’s very little difference at the moment: SDL Trados are offering big discounts at the moment on the basic Freelance package at €395 until the end of March (€512 if you want the ability to run the programme on two computers). Wordfast Classic alone is currently €400, although that runs on any number of computers for any one person; it costs €500 to have Classic and Pro combined. There are often group buys and discounts available, so always worth shopping around. Phew. Essay over – I hope it may have helped someone along the line, even though I’ve undoubtedly missed out lots of useful points of both systems! Enjoy – I definitely wouldn’t want to go back in time now…. Great post, Claire (as always!). I’m going to add a link to your post on my ‘Links & Tips for New Translators’ page as I’m sure newbies will find it very useful. I had no idea that Wordfast Classic can’t handle Excel and PowerPoint in Microsoft 2013 (which just goes to show how long it’s been since I translated anything other than a Word file). I’ll have to bear that in mind. I’ve toyed with the idea of trying memoQ again. I didn’t like it the first time I used it as it was naturally so different to Wordfast. Ideally, I’d just like to stick to what I’m familiar with and save myself the steep learning curve. Thanks Nikki – and no, I didn’t realise until relatively recently either that WF doesn’t handle the latest PPT and Excel files, but there have been quite a few queries about it on the Yahoo Group. Obviously it’s out of their control and one of the designers actually commented too that there would theoretically be nothing to stop Microsoft changing future versions of Word so that they wouldn’t work with Wordfast either – something to do with the VBA settings – far too technical for me! That would be a real shame as I love the simplicity and wysiwyg aspect of Wordfast. Thanks Paul – I used AnyTM just this week for the first time, in actual fact, and it did work a treat with different language variants. I’ve been able to convert my Wordfast glossaries without any problem using Glossary Converter, but the Wordfast TMs have been a problem; Trados just doesn’t accept the Wordfast export tmx, although when I go via MemoQ (thanks to my colleague) they work fine – bizarre! Very bizarre. I have almost finished an article I’m writing on how to use Wordfast resources in Studio and TMs are a part of this of course. I do this on the basis of a Studio users without Wordfast so used either the Glossary Converter to convert the TXT to a TMX (it’s possible of course), or Olifant. Olifant is preferable as this handles Wordfast TXT very well and converts to a TMX that works perfectly in Studio. I think the problem is most likely trivial to overcome and is probably something in the header where Studio is more picky than memoQ. But if you use Olifant you can do it yourself easily enough. Thanks Paul – I’ve never used Olifant, although I have read about in on various support groups and had forgotten about it. I’ll give that a go next time I need to convert a Wordfast memory. I suspect my problem is the language codes I’ve set up in Wordfast. When I first started using it as a complete novice to CAT tools, I didn’t realise how important these were, so some were set as EN-GB, others as EN-UK, and one (completely in error) as EN-AUS! Then I’ve merged other memories with EN-US over the years, so some memories probably contain a complete mix! To be fair, this doesn’t really matter in Wordfast, but I don’t think Studio is very happy when I try and convert them…. I shall look forward to reading your article. Just posted my article Claire – http://multifarious.filkin.com/2015/03/02/converting-wordfast-resources/ Hope it’s useful, and perhaps complements what you have written here. Just seen it, thanks – looks great as usual. Will read and file for future reference! Wordfast Classic no longer has to handle those powerpoint and excel files because Wordfast Pro does, and a host more formats too. If you’re familiar with Trados Studio (which I’m not particularly) you’ll probably find it relatively easy (and a lot cheaper), if your clients don’t insist on Trados, although WfPro Translated files are said to be compatible. Thanks Claire, great article! Enjoyable to read and very useful at the same time, I found your way of writing about / explaining these tools very refreshing. Thanks, Paul – I think it helps not coming from a technical background. So many articles on CAT tools are written by technology specialists who forget what it’s like to go back to square one! Thanks for this article – really helpful! I have now reached a point where agencies I deal with are insisting on use of a CAT tool. I managed to survive for a few years without having to make that investment but just recently the number of assignments I get offered has fallen off a cliff and, when I canvassed opinion a couple of months ago on why I was not getting more work, several agencies said the lack of a CAT tool was a real problem. I have to admit that using these tools (i have done a bit using Memsource Cloud) does not come naturally and I have always felt some resistance to the whole idea. I translate mostly marketing copy for the tourism sector and could never see how chopping the text up into chunks and then welding it back together could be an aid to producing natural-sounding, free-flowing prose! But at the same time I do understand the importance of consistency etc. So I am going to bite the bullet…. and probably go for Wordfast. In fact, I’m off to add it to my Christmas list right now! Thanks again for sharing your knowledge and expertise, Claire. Much appreciated. I’m so glad it helped, Karen. If you can find some in-person training too, I think that’s really helpful. The ITI local networks often offer beginner’s training or introductory courses, which can help you beyond the very basic stages and into using some of the more advanced (but oh so useful!) features. By the same token, if you have any immediate problems, don’t hesitate to get in touch with me and ask – I’ve helped colleagues with Wordfast before and would be happy to hep if you’re stuck. The various online forums are a good source of help too – such as ProZ or Watercooler Technical in Facebook; then there’s the Yahoo help group for Wordfast, but sometimes I think beginners’ questions can be dismissed there as being too basic – which is a great shame! Good luck – and I hope you enjoy it! I’m glad it’s been useful, Georgie. There’s also a more recent post on the benefits of Studio 2017 that you might find useful. It now allows you to merge segments from converted PDF files so I actually use Studio all the time now. I find it works better than Wordfast with my older version of DNS too; it may be because I haven’t upgraded Wordfast recently but the last few times I used it, especially when dictating in tables, I found the cursor jumped all over the place! Good luck! Great, thanks again Claire – I think I’m going to take the plunge with Trados, at least try the 30-day free trial. I am very much enjoying your other articles – being a freelance translator can be a fairly solitary business and your blog links in to so many platforms that I had no idea existed! Thanks for all, Georgie. I’m glad to have been of help 🙂 Don’t hesitate to ask if you’re stuck, either here or on any of the various online forums like the SDL Community or the FB Studio support group, or even on Twitter! It can be daunting when you first start out, but if you take it step by step, I’m sure you’ll soon begin to reap the rewards. I can’t imagine not using it now.